Maybelline Baby Skin Pore Eraser is a face primer. A primer is usually applied after your daily face routine: cleanse - tone - moisturizer - sunblock and before makeup. It is used to improve coverage and lengthen the amount of time the makeup lasts on the face. On contact, translucent gel melts on the skin and instantly erase pores, imperfections lines and creases. 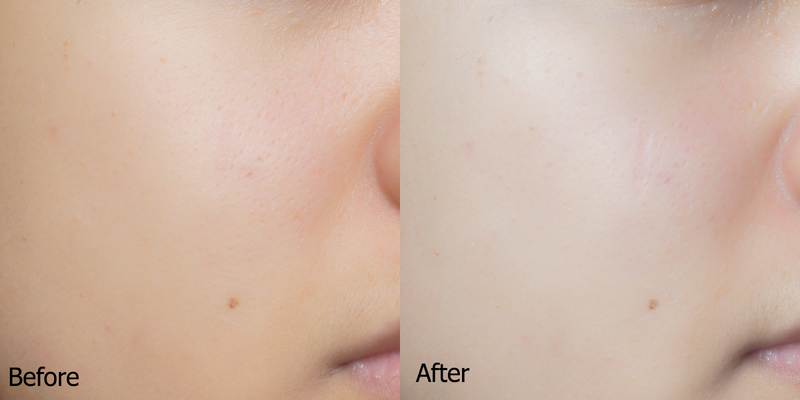 Skin looks instantly transformed into a perfect smooth canvas. Skin is shine free, even and baby smooth. No burden to skin. Poreless, baby smooth lightweight and breathable. Does not clog pores. So light, you forget it's on. The secret behind this product is cherry extracts which is known for their antioxidant properties. Using your fingers, apply all over the face or on concerned areas. Maybelline's Baby Skin Pore Eraser has a clear translucent gel and its silicon based. Gives me super smooth, velvety finish. Makeup is so much easier to apply. It just glides on the face. It doesn't clog my pores. Its affordable for $14.90 SGD at Watsons and Guardian. Product is very easy to apply. Mistake proof as what the company claims. Its shine free up to almost an hour after application. By the way I got combination skin, oily on the T-zone area and normal for the rest of the face. I had put this as a con because its not totally shine free the whole day as what the company claims. I really love this product. I've heard lots of people comparing this product to Benefits Porefessional but I cannot really say anything about the difference since I haven't tried the latter. But this product is a very good product and its so much cheaper compared to the Benefits Porefessional. I would definitely recommend and I'll be buying this product again.